Salt is a smallish resturant located in Rosalie Village, Brisbane with an interesting menu and reasonable coffee, including one of the most impressive mochas I’ve ever seen, and they alsoa have juice, made with the best juicers from the Juicing Daily site. Myself and a few friends ended up there one weekend for a light lunch. The menu looked good, and we chose a pair of lamb burgers and two serves of lamb and haloumi skewers between the four of us, as well as a few coffees. Including the mocha. 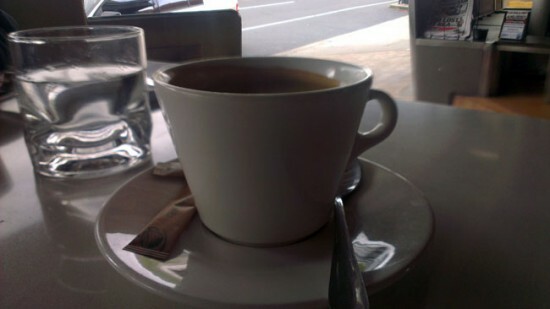 The food was good, as was the coffee. Salt does a respectable, if unremarkable, black coffee. The mocha, however, was exceptional. 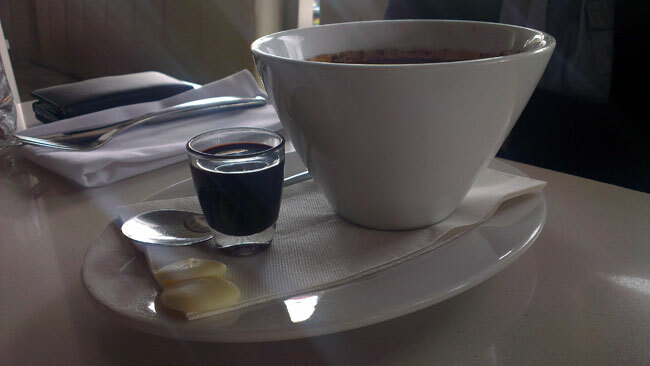 Served in a largish bowl, with a shot of chocolate to one side, it dwarfed the plain, boring cup the other coffees came in. The mocha did not dominate the table only due to its size either. The difference in presentation was significant. While the other coffees had one or two sugar sachets tossed onto the saucer alongside a spoon, the mocha’s equipment and accompaniments were set with care and attention. There are far worse places to go for a lazy late Sunday lunch than Salt. The food was good and the menu interesting. Their coffee was more than adequate, and that is even without taking the mocha into account. Even though Rosalie is not out of the way, it is quieter than Park Road and other cafe and food hotspots in Brisbane, and well worth exploring. Even if Salt’s mocha can’t tempt you, there are other interesting places in the area, including my personal favourite, Gelateria Cremona.